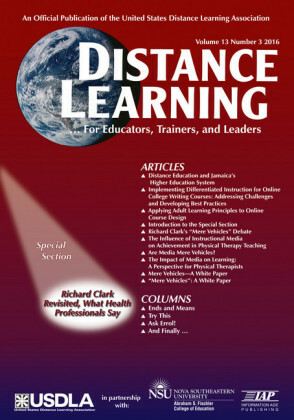 Distance Learning - Issue. Vol.13/1 For Educators, Trainers, and Leaders. Distance Learning is for leaders, practitioners, and decision makers in the fields of distance learning, e'learning, telecommunications, and related areas. 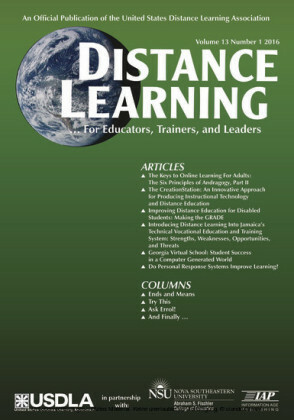 It is a professional journal with applicable information for those involved with providing instruction to all kinds of learners, of all ages, using telecommunications technologies of all types. Stories are written by practitioners for practitioners with the intent of providing usable information and ideas. 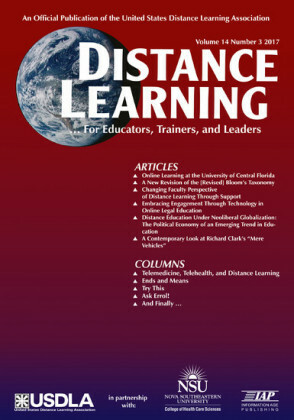 Articles are accepted from authors - new and experienced - with interesting and important information about the effective practice of distance teaching and learnin. 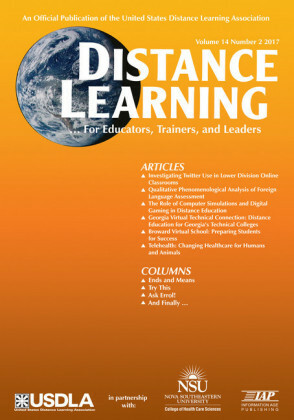 Distance Learning is published quarterly. Each issue includes eight to ten articles and three to four columns, including the highly regarded "And Finally..." column covering recent important issues in the field and written by Distance Learning editor, Michael Simonson. Articles are written by practitioners from various countries and locations, nationally and internationall. 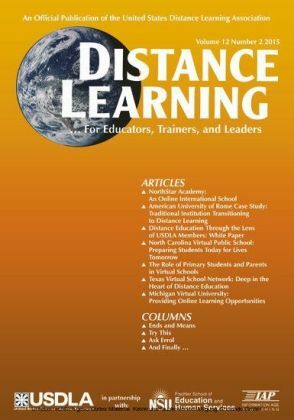 Distance Learning is an official publication of the United States Distance Learning Association, and is co?sponsored by the Fischler School of Education at Nova Southeastern University and Information Age Publishing.